“Compassionate Indy” is rapidly becoming a catalyst for kindness and cooperation throughout the greater Indianapolis community. The Charter for Compassion world-wide initiative was started in 2007 by Karen Armstrong, author of “Twelve Steps to a Compassionate Life.” She won the TED Prize that year, and donated the award money toward the cause of creating more compassion in the world. Armstrong gathered leaders from across the globe, who came together and drafted a “Charter for Compassion.” The Charter is now being used as a template for assisting communities all over the world in addressing their local problems peacefully and compassionately. 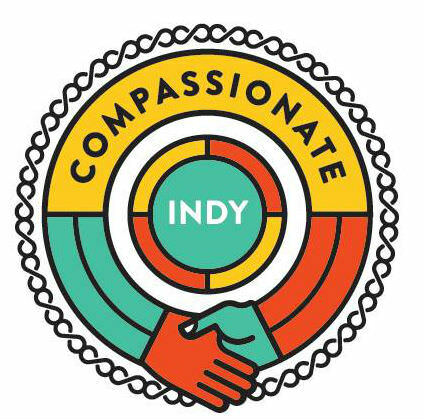 Initially sparked by a small inter-faith group, the local chapter, Compassionate Indy is one of the most recent communities to join the international Compassionate Cities movement. The Golden Rule features prominently in the international movement, so in conjunction with this kick-off event, Compassionate Indy has begun a Twitter campaign to collect 100,000 random acts of kindness. An act of kindness could be something as big as feeding a needy child for a year or something as small as helping an elderly neighbor carry in her groceries. Let your heart lead you! Compassionate Indy wants this endeavor to be contagious! Then Tweet your Act Of Kindness using #IndyAOK. Greater Indianapolis is a compassionate community in which all people, corporate entities and community institutions treat all beings and the environment with respect and concern. To inspire and empower all people to practice kindness while actively seeking to alleviate suffering.